As a homeowner or renter, you are certainly acquainted with the age-old struggle of balancing functional spaces with equal amounts of aesthetic appeal. It is so difficult these days to keep a dual focus on function and beauty, since it is often thought that one should occur at the expense of the other. Today, however, we will look at a project that proves it does not always have to be the case. The house we will look at today is another in a suit of Polish prefab homes that have earned our approval and left us impressed at every turn. 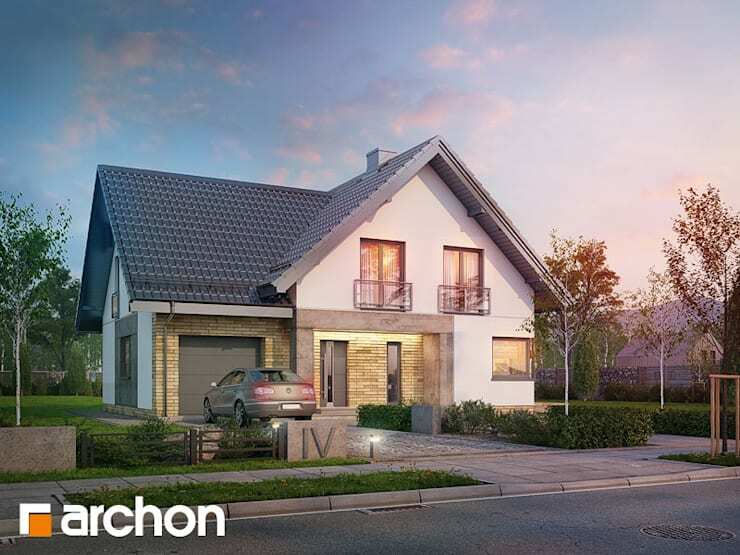 Whether it's a bungalow home or a large family house, these economical and convenient houses are sure to fulfil all needs. 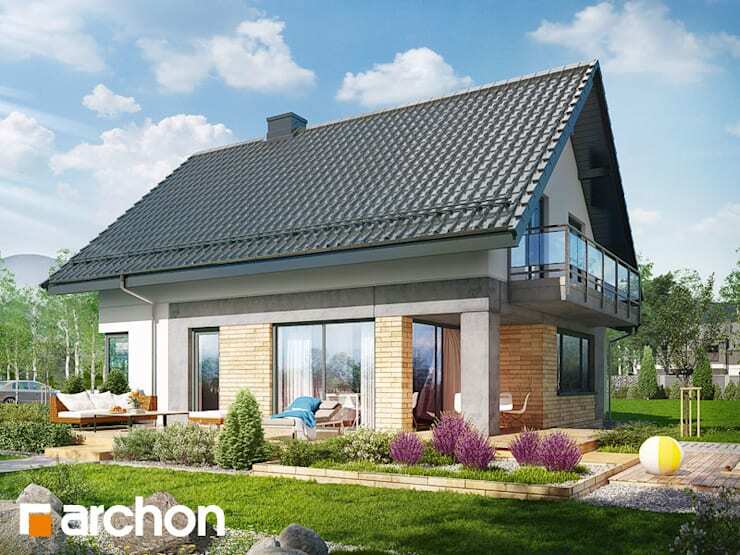 Join us now to inspect this prefabricated beauty of a house that is practical in every sense, but does not sacrifice the warm, welcoming feeling of a comfortable home. 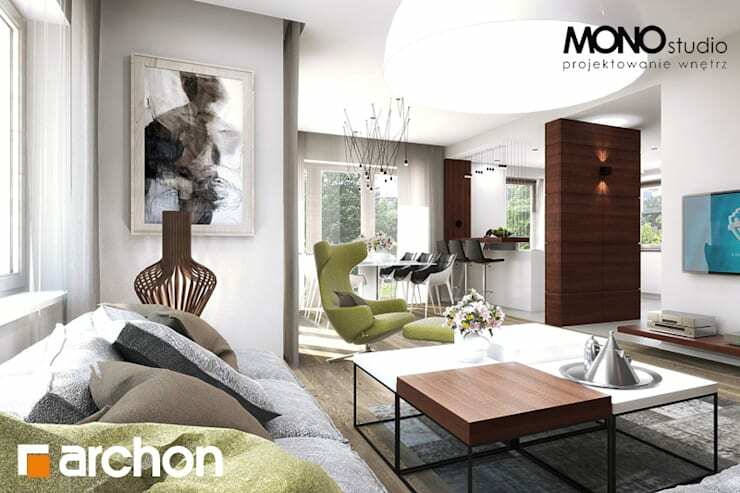 It is a harmonious example of high-quality modern living that is within everyone's reach. Our first view of the house in question, is a very flattering image. In the low light of dusk, the features of the house catch the last, golden rays of the sun and glows with a luminous beauty. This is certainly an attractive sight! This perspective of the home is also a very apt introduction to what the project contains. The facade of the building intimates a practical and functional design, yet the materials and style also create a warm and homey atmosphere. The plaster walls, use of concrete and traditional shingled roof are all elements of a primarily rational design, but the use of warmly coloured brick in the facade and the contrast of colours give a varied and welcoming look. From this angle, we get a better sense of the dimensions of the house. As we can see, the structure is not at all skimpy! The floor area of the house is 139.95 square meters, and this is excluding the garage and boiler room. This is just about the right size for a nuclear family, and what more could you need? Here we can see the use of large glass doors and windows, used to illuminate the interiors of the home effectively and to integrate the interior with the lovely garden. The facade of the house is undoubtedly impressive, as we could ascertain from the first two images in this ideabook. Now, however, it is time to test the waters of the interior to see if it lives up to the promise of its exterior. Here we find ourselves in the living room area of the general living space of the home, which is characteristically modern in its open-plan design. The modest space may not offer a large area, but the furnishing and decoration of the living room was done so well as to allow for a sense of spaciousness and simultaneous cosiness. The comforting textiles in conjunction with wooden elements are very welcoming, and it is all rounded off with stylish art pieces. Next up, we have the dining room of the house, and to the right of the image we can also see the kitchen counter. The overall style of this area of the house is very coherent, creating a sophisticated theme which is easy to work with, yet elegant. It has a distinct minimalist atmosphere to it, with hints of Scandinavian and industrial styles incorporated. The furniture in this room is incomparably stylish. 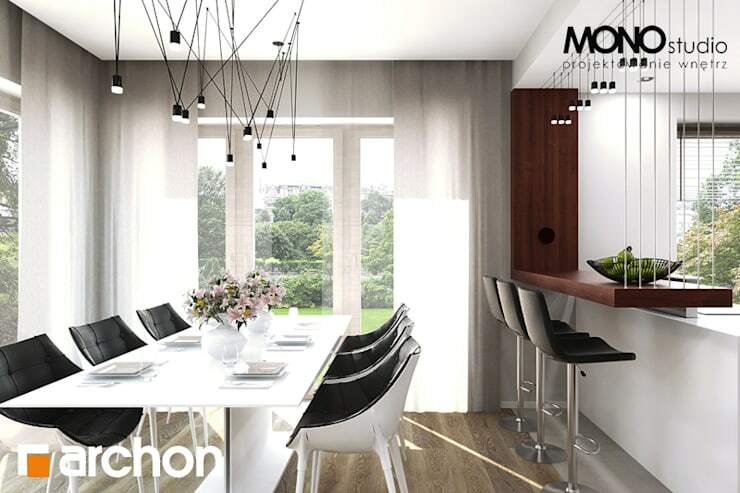 The dining room table is a thin, elegant model, accompanied by luxuriously upholstered, Scandinavian-Classical fusion chairs which create a dynamic feeling in their two-tone colour scheme. Above the dining table, we can see an intricate lighting feature which leads the eye across the entire ensemble. With all this detail, however, the composition is still essentially minimalist, and all the better for it! Lastly, we visit the most intimate area of the home—the family bathroom. As we can see in this image, it is far from a tiny space, and rather looks much more spacious than what would be expected from an economical home. 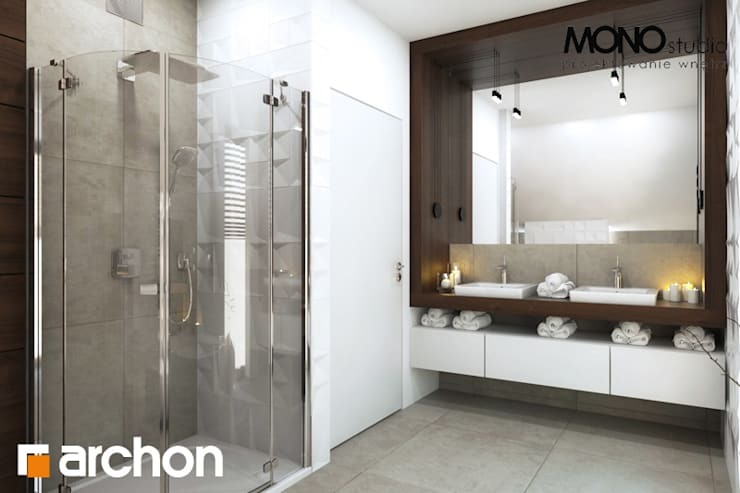 The architects involved, Archon Project Houses, specifies that bathroom was built for comfort and functionality, and we can see how a balance is struck between the two here. This house is definitely a winner when it comes to getting the best at a lower price, just like: This smart and surprisingly low-cost family home. What did you think of this prefab home? Let us know in the comments!